Mauro Bonfanti is a graduate of the UNIVERSITY OF TURIN where he studied under Bianca Berini and Gianpiero Mastromei, of the ACADEMIA MAGGIO MUSICALE FIORENTINI, studying under Bruno De Simone and has subsequently studied with Renato Bruson and Rockwell Blake and was one of the last students of Luciano Pavarotti. He has, in just a few short years, enjoyed increasing success on the operatic stage, most recently, during 2015, appearing as The Steersman in a new production of TRISTAN & ISOLDE at the Florence MAGGIO MUSICALE, under the baton of Zubin Mehta and directed by Mauro Poda and as Figaro in THE BARBER OF SEVILLE in Bologna, Savona, Modena and Sondrio. His engagements during the 2013/2014 season included Don Carlo in ERNANI, with Ramon Vargas in the title role, at the MONTE CARLO OPERA directed by Jean-Louis Grinda and conducted by Daniele Callegari, the 2013/2014 season has also included his performances in the title role of RIGOLETTO at the TEATRO DELLA MUSE in Ancona and at the TEATRO DELLA FORTUNA in Fano, in the production directed by Francesco Ivan Ciampa. 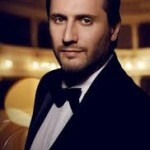 Of his performances in this role TEATROTEATRO, reviewing online has written, Mauro Bonfanti is a really fine Rigoletto: vocally sharp and theatrically telling., while THEATRE ONLINE has said, …great stage presence, capable of presenting both dramatically and musically the many facetted character., and IL MESSAGGIERO said, Mauro Bonfanti performs the role of Rigoletto with clean vocal line, clear timbre and remarkable insight. He also appeared as Beaupertuis in Nino Rota’s THE FLORENTINE STRAW HAT at the TEATRO DEL MAGGIO FIORENTINO under the baton of Andrea Battistoni and directed by Andrea Cigni and was invited to appear in duet with tenor, Andrea Bocelli in the Vatican’s THE LIGHT OF THE CHILDREN benefit concert in the presence of the Pope. Past performances include the role of Marcello in two separate productions of LA BOHEME, both directed by the legendary Luciano Pavarotti, one at the TEATRO DELLA FORTUNA in Fano and other at the VALLE DEI TEMPLI D’AGREGENTO, also Schaunard in seasons of LA BOHEME at the TEATRO VERDI in Padua and the TEATRO SOCIALE in Rovigo. He appeared in Donizetti’s THE BELL, directed by Jean-Louis Grinda in 2009, in the role of Figaro in THE BARBER OF SEVILLE in 2010, directed by Damiano Michieletto, both productions at the TEATRO COMUNALE in Florence, as Belcore in L’ELISIR D’AMORE in 2011 at the TEATRO CARLO FELICE in Genoa, directed by Filippo Crivelli and conducted by Christopher Franklin, Ford in FALSTAFF, with Renato Bruson in the title role at the TEATRO CILEA in Reggio Calabria, performances in Piancenza and Mantova of the first performances in modern times of Nicolini’s IL GELOSO SINCERATO recorded for CD by the BONGIOVANNI label, RIGOLETTO at QUINGDAO GRAND THEATRE and the SHANGHAI ORIENTAL ARTS CENTRE and Scarpia in TOSCA at the SHANGHAI OPERA HOUSE. On the concert stage, Mauro Bonfanti appeared in performances in Milan of Donizetti’s REQUIEM, conducted by Denia Mazzola Gavazzeni, as part of the events marking the anniversary of the death of Arturo Toscanini. Mauro Bonfanti‘s engagements during 2016 included the roles of Amonasro in AIDA and Alfio in CAVALLERIA RUSTICANA in Monza as well as an extensive tour of China in performances of LUCIANO PAVAROTTI: A LIFE IN MUSIC. During 2017 he has to the role of Amonasro in Monza and makes his debut in the title role of DON GIOVANNI at Milan’s TEATRO NUOVO and sings Scarpia at the TEATRO SOCIALE in Rovigo, performances he will continue during 2018. Other forthcoming performances, during the 2018/2019 season, will see him appear as Danilo in THE MERRY WIDOW for TEATRO COCCIA DI NOVARA, as Nello in Donizetti’s PIA DE TOLOMEI in performances conducted by Christopher Franklin in Livorno, he returns to the title role of DON GIOVANNI for the NATIONAL THEATER SKOPJE, the title role of NABUCCO at the MANZONI THEATER in Monza and of RIGOLETTO on tour in Japan, sings Ping in TURANDOT at the TEATRO MARRUCINO in Chieti, Enrico in LUCIA DI LAMMERMOOR for the SEOUL NATIONAL THEATRE and Silvano in UN BALLO IN MASCHERA at the TEATRO REGIO DI PARMA. He sings Figaro, in THE BARBER OF SEVILLE, for the NOVOSIBIRSK STATE OPERA.